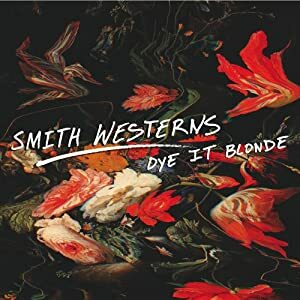 The new Smith Westerns album might seem old to some of you music buffs out there by now, but please remember that we take into account any albums that were released between December 1st of the previous year and the last of November of the current year. This particular #19 album was released in January. So while it is already almost one year old, it still qualifies as a candidate in this countdown. “Dye It Blonde” has been a critically acclaimed record on most of the year-end countdowns I have read out there. The truth is – it’s as close to a masterpiece as you can get. They might just be the most underrated act in all of music. Hopefully all of these recent positive reviews will change that for them. Here is the video for the song “Weekend.” I hope you enjoy it! To find out more about this album and to purchase it, visit Amazon. 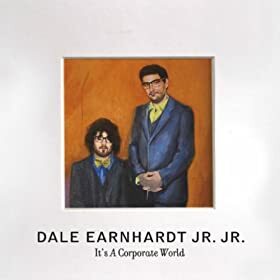 You can tell by their name alone that Dale Earnhardt Jr. Jr. isn’t an act to be taken too seriously. They obviously don’t take themselves as such. However, once you look passed their name, you will find some of the most polished and solid indie rock music of the year. Their sound is completely original, but it is reminiscent of the likes of the Fleet Foxes, mixed with a little bit of Turin Brakes. No matter what sort of blend you can come up with on your own for their sound, there is no arguing that it is wonderful to listen to. I look forward to seeing what DEJJ do next. I hear that they are incredible live so I certainly hope they are able to make it to South Florida in the very near future. This album is available for purchase on Amazon.com here. It’s hard to find good rock-n-roll music today. 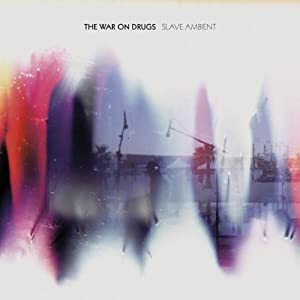 I’m glad I found War on Drugs to combat that notion. Reminiscent of the likes of Tom Petty, the group gives a classic rock sound on Slave Ambient, that almost sounds like it was recorded in the 1980s. It’s catchy, well-written, and most importantly, very charming to listen to. It’s that time of year again. Already. Where did 2011 go? In honor of the 25 Days of Christmas, we will be launching our very own “25 Days of Music” countdown on Thursday, December 1st. Everyday throughout December, we will unveil one of the best new albums in the list of 25. That’s the 25 best albums of the year according to yours truly. We’ll start at 25 and end on Christmas Day by announcing the best album of the year. This is my fifth year doing the “25 Days of Music” countdown. I’ll leave links to years’ past below, as well as the best ways to follow the countdown. You can subscribe to this blog via RSS. Most people haven’t heard of Jukebox the Ghost. It’s odd that all too often, great bands slip through the cracks and get unnoticed. JTG, for example, released their second album this year. You probably didn’t even know they came out with a first album a few years back. Everything Under The Sun is a very catchy and fun album that reminds me of Vampire Weekend. The songs are short and to the point. The beats are fast and funky. And the vocals and melodies are catchy. The album offers all the right ingredients for a great pop collection. There are a number of songs that I enjoy on the album. However, the insanely catchy song titled “Empire” is definitely on the top of my list. Check it out in the video below. It will be in your head for days. To purchase this album on Amazon.com, click the album cover below. Historically, TV on the Radio does very well on these countdowns. TV on the Radio is a very critically-acclaimed group that wins everyone over with their unique sounds and even more interesting cultural diversity. Maximum Balloon is the side project of TV on the Radio’s guitarist, David Andrew Sitek, who arguably is the most interesting and creative member of the group. You can quickly realize that simply through the songwriting on this album that he has a heavy hand in TV on the Radio’s writing process. The first track “Tiger,” for example, features Aku (the video is featured below). On the track, you’ll notice that Aku actually sounds like TV on the Radio’s original vocalist. The result is a song that would fit perfectly onto any TV on the Radio album. One can only hope that David Andrew Sitek is planning more of these masterpieces in the future. Inevitably, we must assume he’ll be going back to handling the guitar for TV on the Radio on their next release, but let’s keep our fingers crossed that he’ll get back to this project before too many years pass by. To purchase this album from Amazon.com, click on the album cover below.